Are you looking for a ready terrain for survival, building beautiful structures or recording video? 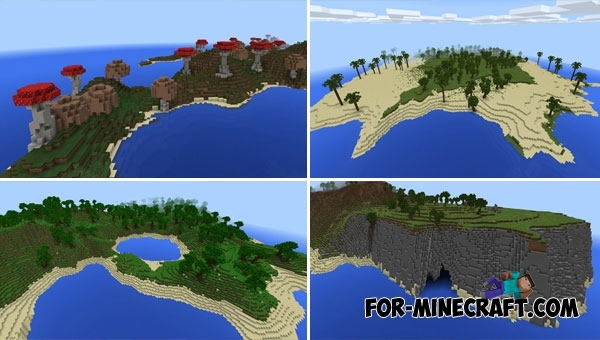 Pay attention to the Redstone Crafter Terrain where the author managed to build a whole island in a very beautiful and realistic way! 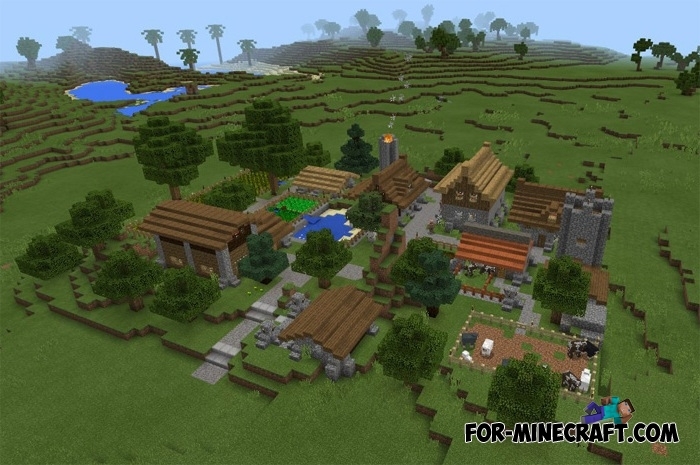 In fact, several completely different biomes are located here that is of great interest to travelers. Forests occupy the main part of the area, inside of which you will find small ponds and hills with snowcaps. There are arid deserts of two types and a village, be sure to find it. 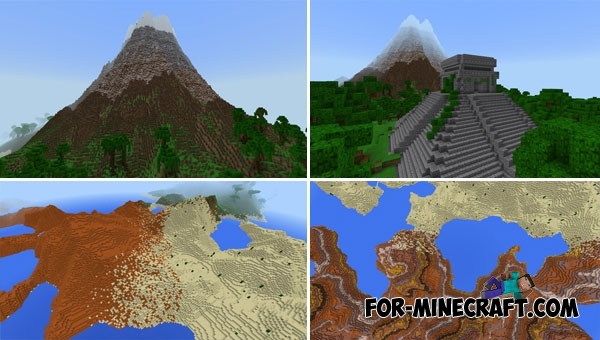 The whole map is a huge platform with a beautiful view, the usual Minecraft PE generation is not capable of creating such an amazing place.